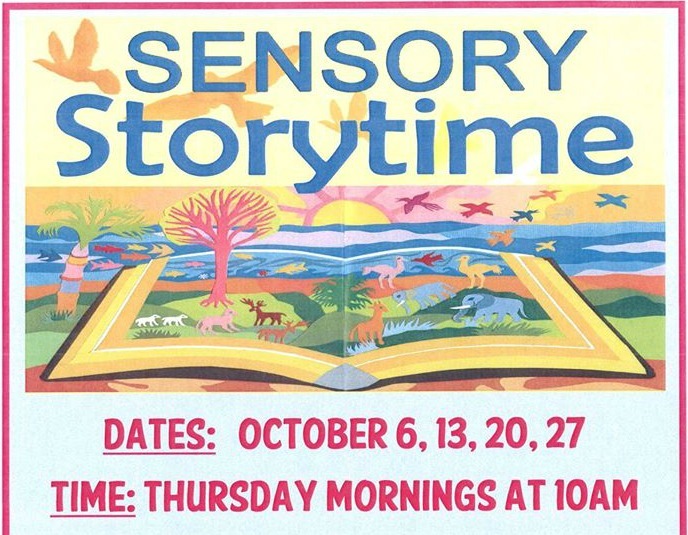 The Nesmith Library is excited to offer a Sensory Storytime for children with sensory processing disorder, autism or other developmental delays. This small group will feature stories, songs and tactile activities geared towards children with sensory issues. Caregivers are asked to stay with their child during storytime. This is a registered program. Register by calling the library at 432-7154, or, stop by. If you have questions, please email Kari.